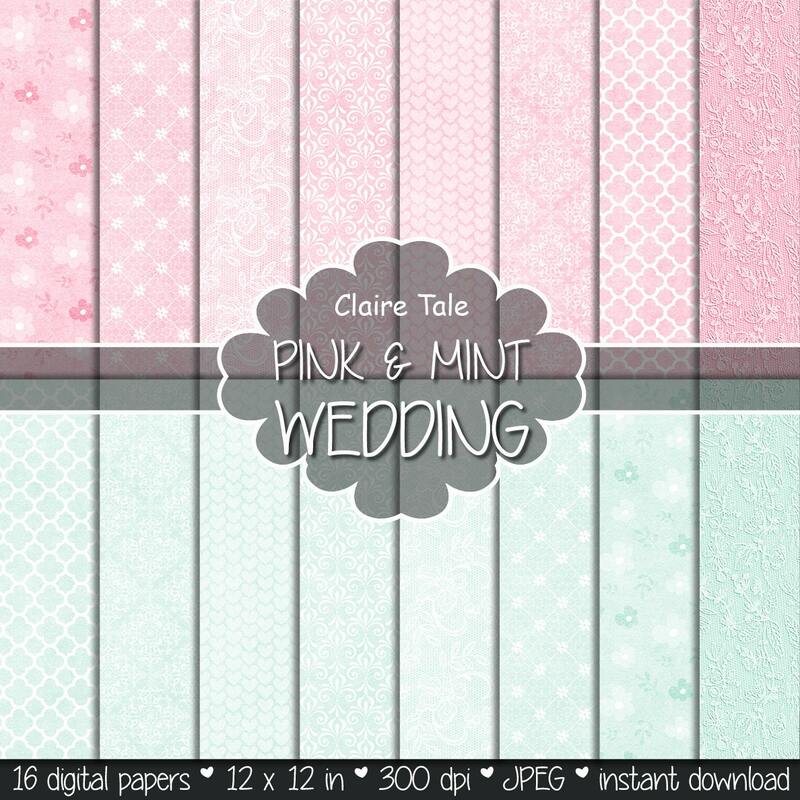 16 wedding digital papers: "PINK & MINT WEDDING" with damask, quatrefoil, roses, flowers, lace, hearts patterns / pink mint wedding background. Perfect for scrapbooking, invitations, announcements, anniversaries, birthdays, party themes, stationary and paper crafts. Ready for immediate print and digital use.